Our Treasurer, Peter Broomhead has decided to step back from his treasurer role later this year. Peter was the warehouse manager and the treasurer and he was part of the team that started the Chesterfield foodbank. Peter is a good man and he worked hard to develop the foodbank and we are very grateful to him for all his support and encouragement. We are now looking for a new Treasurer to maintain the accrual based accounts and serve as a foodbank Trustee. If you are interested or if you know of anyone who might be interested, could you please contact our stand-in Chairman, Rev. 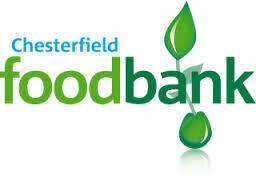 Daniel Cooke, email address below, and copy info@chesterfield.foodbank.org,uk with his/her contact details.